Who knows what waits on the road you have taken this time…..the peanuts may be priceless……. Guest Post by Dr. Debasish Bhattacharya. The weekend gone….Monday arrived and I was on road. 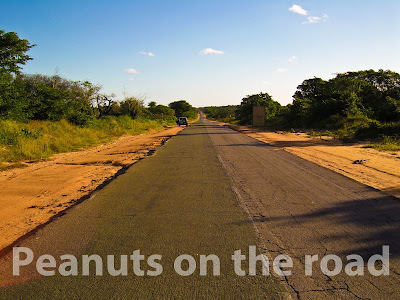 I started from Maputo early in the morning as I was told that we had to cover about 500 kilometres by the evening. The driver was the same but the car was a Land cruiser. 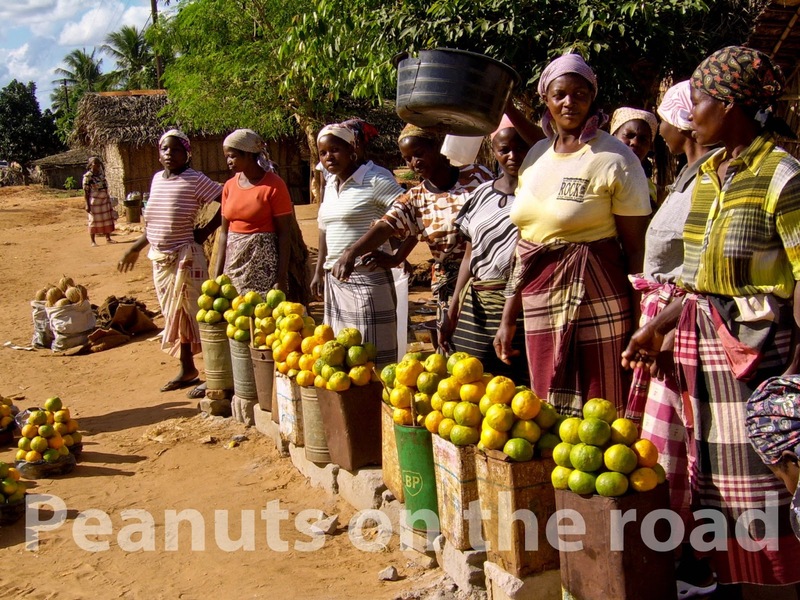 For my project on Nacionale Estradas 1 (NH-1), I had to travel along my project road and my friend, philosopher and guide, Mr. Ismail, the driver told me that we were to travel through 3 provinces - Maputo, Gaza and Inhambane ….the Mozambican countryside. 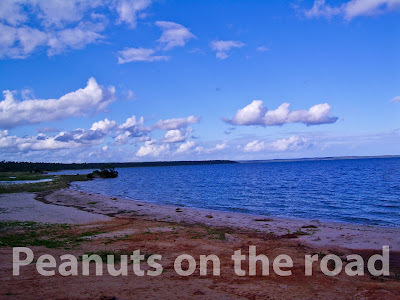 Leaving the city of Maputo I was greeted with a totally different scenery altogether. It was so different that I never thought of. It was only natural and no human interference. Blue on the right side, was of the Indian Ocean and on my left, rugged terrains with stony outgrowths and intermittent green patches of coconut, banana, mango and other trees. After sometime the road went far away from the sea coast. All along I was surprised not to see any human traces….perhaps traversed more than two hundred kilometres. There were some houses with deserted looks, shops and petrol pumps at some crossings and occasionally passing a very few cars or trucks coming from the other direction. Mr. Ismail, I asked – Is it a holiday today? Why I am not seeing any person on the roadside? – Sir, didn’t you notice those houses were damaged and the petrol pumps? Slowly he took the car close to a house and stopped. He then showed me the mortar-damaged portions of the house. Sir, he said – as you know that we have passed through a very bad time of civil wars a decade ago, still you can see such remains along the roads of these provinces. – Oh! That was the reason I did not see many people along the road! I got down from the car and was searching a bush for releasing. Suddenly, Ismail jumped out of the car and rushed towards me. – Sir, please do not go beyond the black-top. Turn the other way and alight. This is not safe and I am responsible for all your safety. Then he told me that there were some landmines placed at many locations during the civil war and since many people died, nobody knew where some active mines were still there. Once some labourers were working on the road and needed to dig some pits along the road. Suddenly one such mine blew and killed around ten workers. I was a little taken aback, worried also a bit and had to release on the road itself. After driving continuously for another couple of hours I saw something unexpected and it was such an experience that has changed my vision towards “mutual trust”. The road was straight and long and from a distance I could see some potter’s products lying along the roadside and there was a thatched hut close by. I was happy to finally see a village. Suddenly, I saw a car coming from the reverse direction and stopped near the pots. A man got down from the car and picked up a large earthen pot. He also dropped something in another pot kept on a raised platform. Then he left and drove passed by us. I could not see any seller at that place. I asked Ismail to stop the car there after reaching. I got down and directly went towards the pot where the other man dropped something. I opened the lid and to my surprise saw several Meticais (Mozambican currency) notes and coins inside. I was awestruck. I also found the door of the hut shut. I never even wondered to be a part of such a trustworthy system of transaction, that too along a village in this Godforsaken “underdeveloped’ region. I was overwhelmed. We store so many stereotypes about unknown people at the back of our minds, especially when they are from the “third world” countries and apparently lesser progressive. But, hats off to these villagers. And to their mutual trust which has perhaps rooted it on a strong cultural soil. My vision became blurred with uncontrolled salt water streaming down. I picked up my handkerchief to hide it. I waited there for half an hour but could not meet the seller. I could not see even the trace of a village near the road. Mozambique is a country with a population density of about 28 persons per square kilometre. Moreover, due to civil war and a threat from HIV-AIDS (about 20% is suffering) the population growth is extremely low. Thus, you may not come across many thriving human settlements in the rural countryside. In some villages you may find women in majority and men, either very young or only elderly. This is because the adult men are mostly killed during the civil wars. We started again and after sometime I saw the nature changing. That was winter, the orange time. 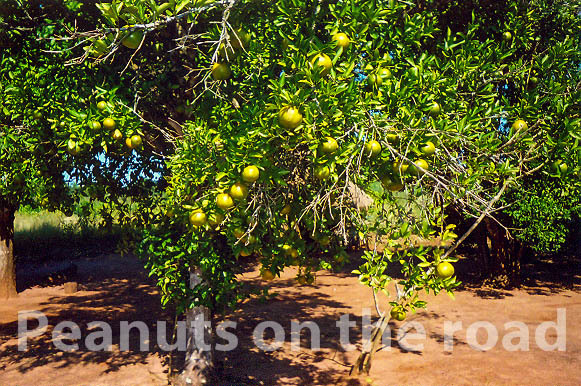 I left Delhi on a burning summer day and reached Mozambique when it was pleasant winter in the southern hemisphere. All around there were orange plantations and the trees are full of those ripe citrus fruits. 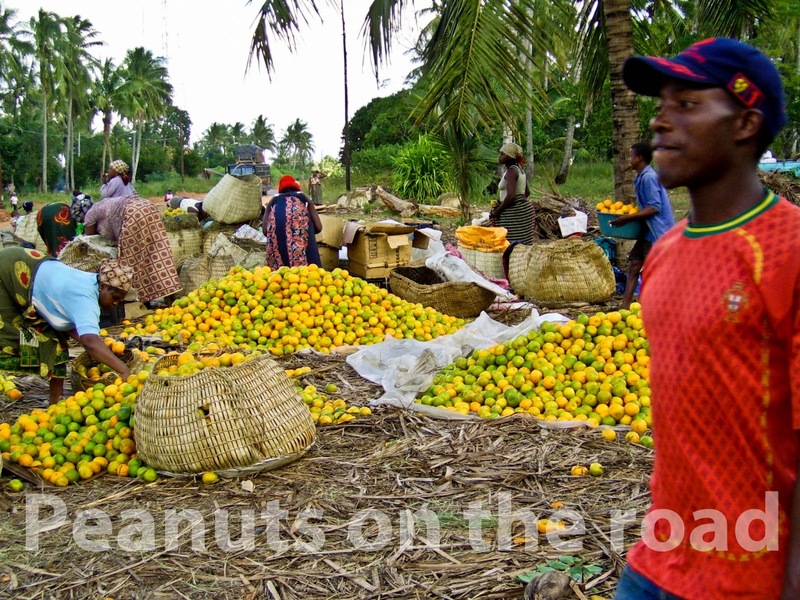 In many orchards women were seen harvesting the fruits. At some places they were selling their products at a throwaway price. Ismail got a full gunny bag of oranges at 1 USD. 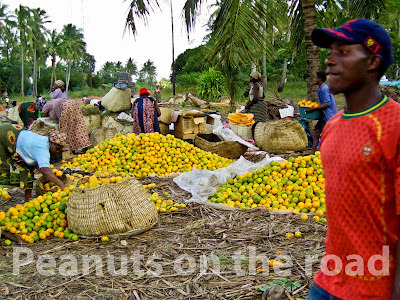 Surprisingly, the previous day I got only 4 oranges in Maputo for the same price. While on the way forward I saw another ownerless shop. 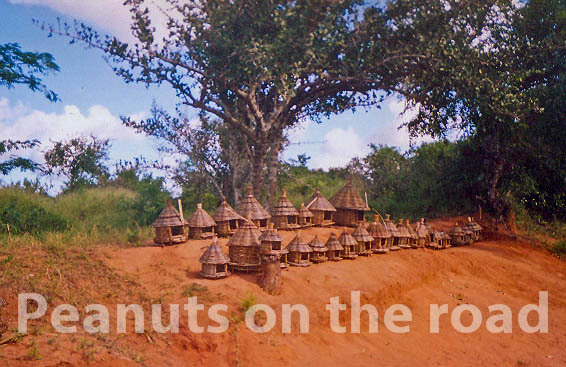 This time it was of toys or room décor – small traditional huts made of split bamboos and wood. All displayed along the road for the pleasure of passer byes…… What could I call it? Window shopping? No, by no means!!!! Something else…perhaps. By the fall of evening we reached the place to take a halt for the night. It was at the Provincial headquarters of Inhambane. 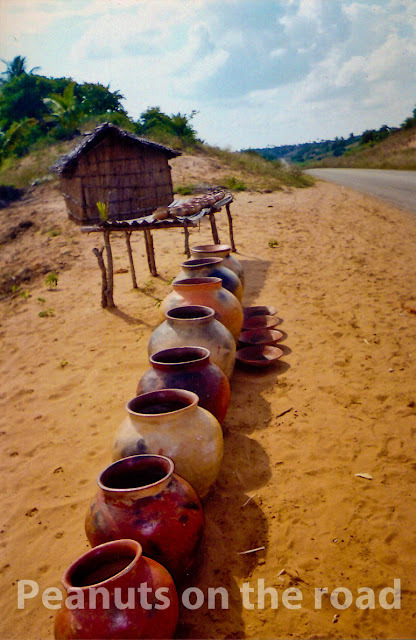 This is Debasish's entry for 'The Perfect Road Trip' contest, hosted by IndiBlogger in association with Ambi Pur (https://www.facebook.com/AmbiPurIndia). To be continued with the third and final sequel. 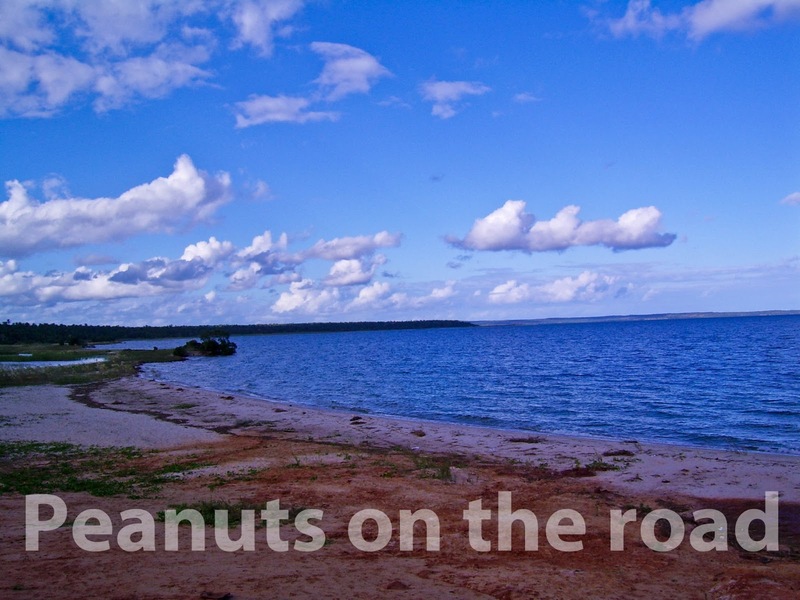 Read Anwesha's entry for 'The Perfect Road Trip' contest here. Lovely. I particularly loved the incident at the pottery shop. Goes to show how the value system differs from place to place, and how we create stereotypes in our own image. Thanks dear. Yes, you are right. That is why the peanuts are so priceless this time. Pleasure to read. Most touching point may be the value system we the so called 3rd world people possess.